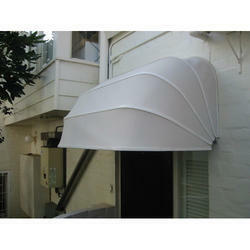 Agora offers fabrics for Window Awning with wide range of colors to choose from. Kanaiyalal Awnings provides to Canopies, Industrial Parking Shade, Pool Sides-In Home, Hotel Restaurants & Shop, Tent for Windows to all type manufacturer repairing and all types fabrication work. An idea cantilevered shedding made of sturdy aluminum framework with tinted poly carbonate sheets which is washable and easy to maintain. 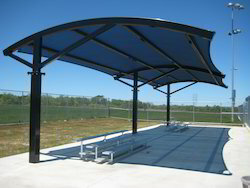 With sincerity and hard work of our professionals, we have carved a niche for ourselves in this domain by providing a premium quality gamut of Custom Awning Shed.